High Density Hair Transplants have always been in the forefront of proven medical technology. We don't experiment with your hair, nor do we linger in the Dark Ages. We do however adopt the best procedures and practices so that you can enjoy your youthful appearance a lot longer without the appearance of balding or thinning hair. Today we are proud to announce a completely new approach to hair transplants. Surgically inserted or "planted" in the bald recipient area. The process hasn't changed much in fifty years, however the techniques and tools have evolved dramatically. With the advent of our new technology we can wave goodbye to some of the old techniques used that slowed down the surgery by a considerable amount of time. 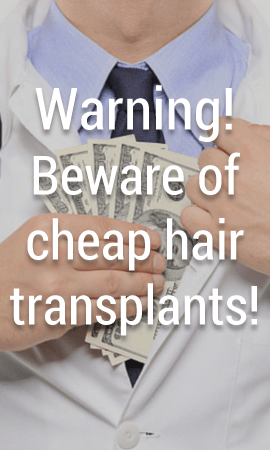 Gone are the days when the surgeon cut groups, or "plugs" of hair and transplanted them. Gone are the days when the surgeon cut strips of hair, surgically closed the incision with stitches and meticulously separated the individual hairs beneath a microscope. Gone are the days when the surgeon was limited to using a punch tool to remove hairs, risking damage to the roots of the precious harvest. Gone are the days when surgical assistants had to manually count every extracted hair. With the advent of our new donor removal system, harvesting the available donor hair is faster and more precise than ever. Using a hand-held instrument with a tiny 1mm aperture the surgeon is able to precisely target the individual donor roots and extract them, greatly limiting the risk of root damage. This means more accuracy for the surgeon and less anesthetic time for you. Our new system automatically counts the harvest, so there is no doubt as to how many grafts / hairs you have had? The instrument records the numbers. In fact, we can now easily and accurately achieve 2,000 grafts in a 5 to 6 hour session with this ground-breaking instrument and up to 3,000 grafts (that's 6,000 plus hair) in an extended session.